Ever since Tinder came out, the number of first dates per capita has skyrocketed (OK, there’s no real statistic to back this up, but go along with it!). And with this uptick in first dates has come a resultant lack of imagination. Really, you’re going to go for drinks and appies again? For like the fourth time this week? Other than restaurant owners, who are no doubt counting their stacks of money thanks to the popular dating app, no one is pleased with this arrangement. How many awkward restaurant experiences does one have to sit through, and how many overpriced bills does one have to pay, in order to find love? The answer: none. There are so many other fun first date ideas out there, ideas that involve icebreaking, talking and experiencing something new. To prove that point, and to finally put a rest to Big Restaurant’s reign over the dating world, here are four amazing first date ideas. How’s this for an icebreaker: let’s throw some weapons at some boards. Axe throwing, a sport that’s gained popularity recently, in no small part because it looks totally badass, is the perfect date activity. It involves learning a skill together, which is great for learning about each other’s strengths and vulnerabilities, but it’s also engaging enough that you don’t have to be talking the entire time. 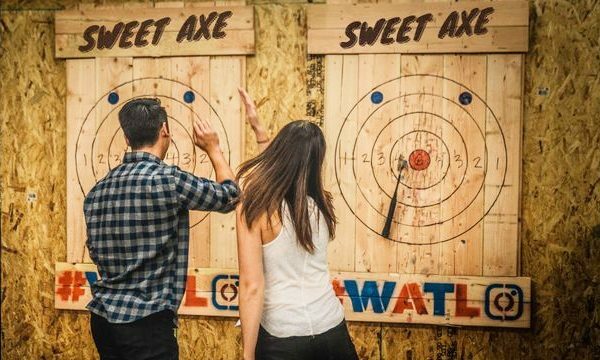 Whereas dates at restaurants often suffer long, awkward breaks in conversation, when you get your date axe throwing you won’t have that problem. One of the worst parts of a first date is the constant barrage of questions asked and received. Why don’t you relieve a little of that burden by letting someone else ask the questions? Trivia can be a subtly effective way of getting to know someone; maybe you find out, via a right answer, that they’re really into politics, or that they have an encyclopedic knowledge of 1st generation Pokémon. You’ll probably learn stuff about your date you wouldn’t otherwise have been able to extract. Why have a date in the real world, when you can slide into the world of fiction. There’s not much more to this date idea than the thrill of a new experience, but sometimes that exactly what you want on a first date. You want to be astounded and have fun with someone. 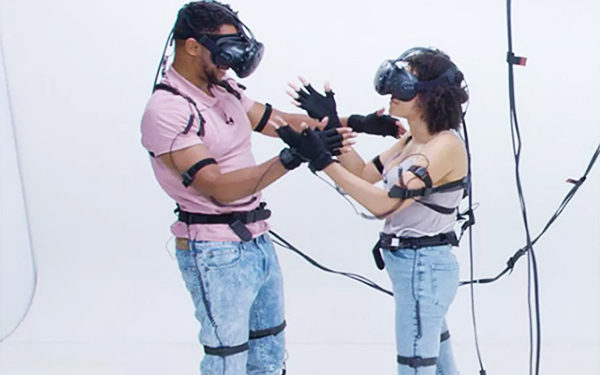 There are lots of new VR rooms popping up, so finding a well-reviewed one shouldn’t be too hard. Why just eat a meal, when you could cook it too? 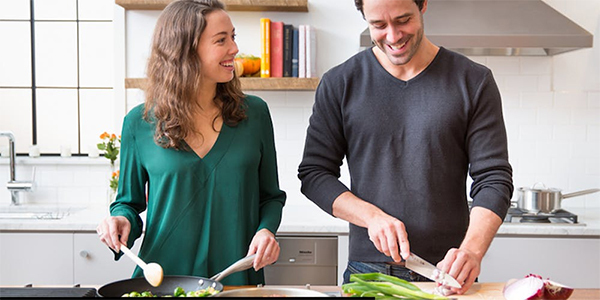 This one takes the pressure off of cooking someone a meal at your own house (which can seen as a creepy idea by some), but is more involved and engaging than simply going to a restaurant. In between the learning, prepping and cooking, there should still be ample time to get to know your date. Just don’t hold it against them if they’re a terrible cook – this was your idea, after all. In short, you don’t have to go to a restaurant to cook up a good first date (pun totally intended). All you need is some imagination, a captivating activity and a willingness to try new things.